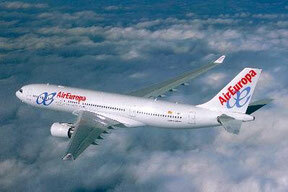 CHEP and Air Europa extend ULD management deal. Air Europa, which is Spain’s leading privately owned carrier has decided to renew their present Unit Load Device (ULD) management partnership with CHEP Aerospace for a further five years. One of the advantages for Air Europa of this renewed partnership is that the carrier will switch 770 of their present underfloor containers over to CHEP’s lightweight units, there-by giving the Spanish carrier less weight to carry and a better overall fuel burn. This, says the carrier and CHEP, is part of their joint commitment to minimize the envi-ronmental impact and CO2 emissions. CHEP Aerospace now supplies all of their passenger airline clients with lightweight LD3 containers from its vast pool of 90,000 ULDs. The Chinese daughter company of SF Airlines, SF Express is going ahead with its plans to go public and is said to be in discussions with Shenzhen based financial securities companies who will advise them on issuing an IPO. Although there is of date no news on who will underwrite the process, reports show that SF Express could be valued at just about US$ 15 billion. The Hong Kong Standard newspaper recently reported that SF Express is in consultation with CITIC Securities and China Merchant Securities. These two companies along with Oriza Holdings had in 2013 already acquired a 24.5% holding in SF Express, valued at US$10 billion. SF Express which was formed in 1993 is now one of the largest Chinese air freight car-ries with a fleet of 26 aircraft. These are a mixture of Boeing 737-300/400F’s along with B757 and B767 freighters. They operate also around 160.000 trucks and have over 5.500 logistic service centers in China. Due to high demand, a second freighter of the same type is already being operated tem-porarily at PAD. Although most of the loads consist of automotive and machine parts, Bright Flight is also authorized for the transport of special cargo such as dangerous goods, medical equipment and live animals. The Bulgarian newcomer was founded in May 2014 and within less than one year be-came a fully licensed Air Operator of two aircraft types for the carriage of passengers, car-go and mail. “FRA can do Pharma,“ that was the motto of a meeting held at the end of February, host-ed by the FRA Air Cargo Community (FACC) in Frankfurt. CargoForwarder Global had previously reported that the FACC in their last get together had intended to invite representatives of the pharma logistics chain to a visit FRA pharma initiative. Around 80 visitors attended the event which was aimed at presenting a broad range of services for the shipment of pharmaceutical products by air at FRA Airport. The program included updates on current trends and developments at the airport for pharma products as well as showing the visitors FRA’s special products and services for these sensitive goods. 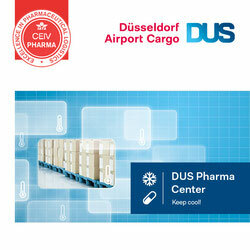 Part of the program was also a view of live operations at the LH Cargo Cool Center, the Perishable Center at the airport and an on site viewing of the loading of pharmaceuticals on an aircraft by means of the Fraport Thermotransporter. The recently impounded Western Global Airlines MD-11F has been released at Harare airport and continued its much delayed flight to Waterkloof Air Force Base in South Afri-ca. The aircraft was seized at Harare Airport in mid February when a body was found on board. The flight was also carrying a large amount of South African currency which had previously been loaded at Munich airport. It turned out that this shipment was a bona-fide currency transfer for the South African Reserve Bank. The Zimbabwean authorities have determined that the body found was that of a stowa-way who had concealed himself in one of the aircrafts lower compartments either at La-gos, Abuja or Entebbe on a flight a week beforehand. The Dubai-based aircraft leasing and charter company has acquired another DC8-73 freighter from Chad’s Air Inter which has its home base in N’Djamena. 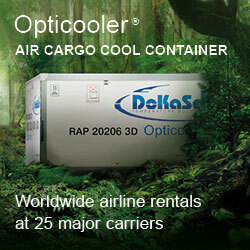 The aircraft which is probably one of the oldest freighters flying, can carry up to 45 tons per flight. CFS Air Cargo specializes in chartering out their freighters to brokers, shippers, forward-ers and other airlines particularly for cargo charter operations on the African continent. 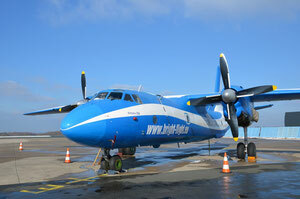 Charter flights are also offered to other destinations in the Middle East, Europe and Asia.